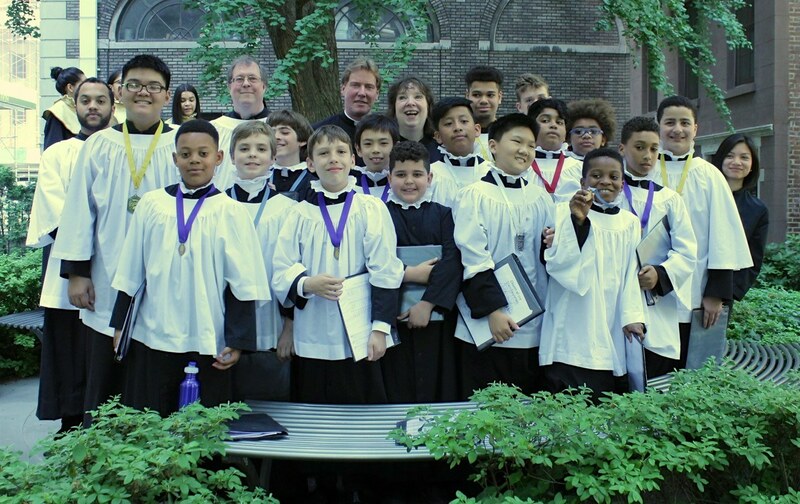 The oldest such choir remaining in the United States, the Choir of Men and Boys consists of 8 men and 16 boys, ages 8-14, auditioned and selected from the New York metropolitan area, with diverse ethnic and economic backgrounds. The boys rehearse several times each week and not only are paid but also receive incremental merit-based scholarships through the Anthony J. Mercede Scholarship Fund. The full Choir of Men and Boys sings most Sunday mornings at the 11:00 A.M. Mass. To arrange for an audition, contact Claudia Dumschat at 917-825-7504. Auditions are now open. This summer, the Boys' Choir traveled to England where they sang a week long choir residency at St. Albans Cathedral. See their performance of the Magnificat with our Girls'Choir here. Choir member Devin Coleman was the featured soloist in the Macy's Fourth of July Fireworks Spectacular. When not traveling in the summer, the boys and girls attend choir camps, where they prepare for the upcoming liturgical year and enjoy activities such as swimming, kayaking, games and campfires. The boys attend Camp Incarnation in Ivoryton, Connecticut, and the girls go to a hotel in Cape May, New Jersey. Other recent activities outside the church included making a commercial for the popular TV show, “The Big Bang Theory” and recording music for “Home Alone" star Macaulay Culkin’s “Pizza Project.” In 2015 the combined choirs were praised by The Washington Post for their outstanding performance in the International Serenade Festival there. In 2013, the choir toured Barbados. The Boys and Girls Choirs also performed in the Diocesan Treble Choir Festival at the Cathedral of St. John the Divine, and some of the boys were also in a performance art piece at the Gladstone Art Gallery in Chelsea, where they were seen and heard by thousands of visitors.. The Church of the Transfiguration invites boys in the third grade and higher to join its Choir of Men and Boys. An audition is required, but the primary requirement to join is an interest in music. Boys rehearse twice a week and sing on Sunday at the 11:00 a.m. service. The Choirmaster will arrange rehearsals at a convenient location such as a school for boys who cannot attend midweek rehearsals at the Church. In return for training in music, we ask each boy to commit to regular attendance. 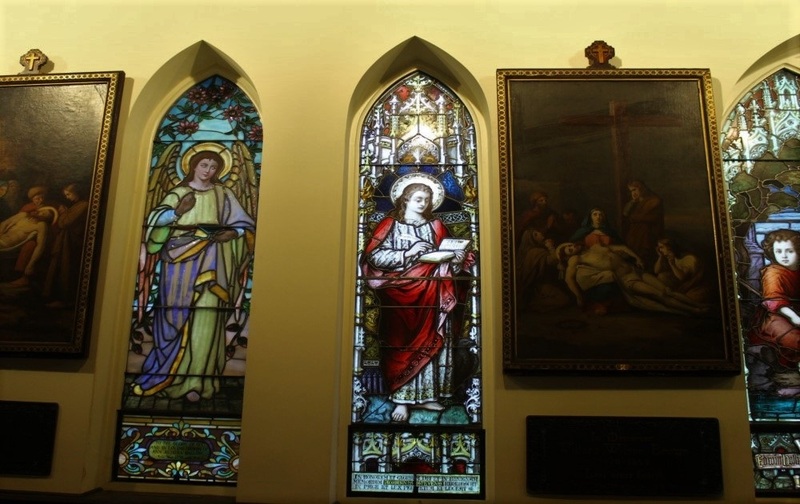 Boys of all faiths are welcome in this nurturing, English-style Episcopal Church. Beginning in the second year of participation, scholarships are awarded for each successful year in the choir. Scholarships are made possible by the Anthony Mercede Scholarship Fund and annual fund raising. Click here for a sample of a Sunday musical offering. Click here for the choir performing a piece from the Mozart mass. Click here to view the Boys singing "An Evening Hymn" along with our Girls Choir. Click here for a performance of the Men singing "O! O!" O! Exulted" by David Yardley.